Closer ties with China carries worrisome implications for Canada’s national security, writes Charles Burton. The asymmetrical nature of the relationship suggests that China may leverage economic incentives to further its geopolitical regime goals. 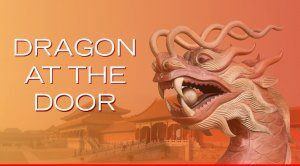 This piece is part of The Dragon at the Door series, with commissioned articles from leading world experts exploring different elements of China’s rise as a great power. China's extraordinary post-Mao economic development has captivated Canadian politicians at the federal and provincial level since the Chrétien-era Team Canada Missions of the 1990s. Many anticipated China's entry into the World Trade Organization (WTO) in 2001 would lead to significantly enhanced opportunities for Canada in the Chinese market. But overall economic engagement between Canada and China has fallen far short of expectations, total annual exports to China today being about $20 billion compared to over $300 billion to the US. The Chinese government has strongly advocated a free trade agreement between Canada and China. They have offered assurances that Canada will thereby significantly increase exports of Canadian goods and services to China and narrow the current 3:1 trade imbalance with China. The prospect of achieving significant diversification of the Canadian economy away from strong dependence on the United States cannot be overlooked. 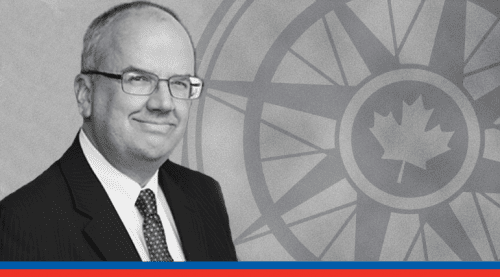 China, for its own geopolitical reasons, would also like to see a more China-oriented Canada. The previous government had been reluctant to respond meaningfully to the Chinese approaches on free trade. Yet Liberal leader Justin Trudeau strongly supported Canada enhancing relations with China across multiple domains – and, once in office, the current government has moved quickly to do just that. In September 2016, Canada and China announced exploratory talks on free trade with China. A three-month period of public consultations on Canada negotiating a Free Trade Agreement (FTA) with China has just been completed, which will likely pave the way for formal binding negotiations. While the Canadian side focuses on promoting prosperity, Beijing sees free trade as a tool to facilitate its overall geopolitical interests. In the short and medium term, the Government of Canada has expressed strong interest in interim agreements designed to enhance Canada's economic integration with China. These include facilitating getting Canada's oil sands product to tidewater via pipeline from Alberta to the BC Coast for transshipment to China, as well as removing restrictions on Chinese state investment in the Canadian natural resources sector. But China's interest in Canada goes beyond trade to a commitment to establish a “strategic partnership” between our nations. 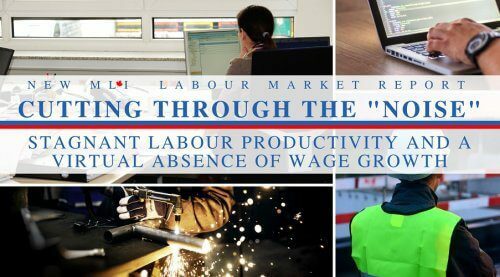 This encompasses a broad range of non-economic elements, raising the possibility of Canada becoming more economically reliant on Chinese trade and investment. The asymmetry of relations with China, one of the major economic powers of the contemporary age, and the incompatibility of Canadian and Chinese political, social and economic institutions have raised concerns about potential threats to Canada's national security. While the Canadian side focuses on promoting prosperity, Beijing sees free trade as a tool to facilitate its overall geopolitical interests, as part and parcel of China’s comprehensive rise to power. 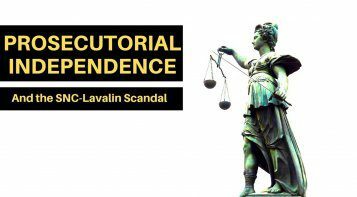 Prior to initiation of exploratory talks on free trade, Beijing had complained that Canada’s national security review process of foreign takeovers of Canadian firms under the Investment Canada Act unfairly targets China. China’s Ambassador Lu Shaye characterized it as “tantamount to trade protectionism.” Subsequently, China’s Premier Li Keqiang engaged Prime Minister Trudeau on this issue in a personal telephone call. The Liberal government, in turn, overturned the previous government’s cabinet order that prevented a Hong Kong company, partly owned by the Chinese government, from taking over a Montreal firm developing technology applicable to fibre-laser directed energy weapons. It undertook its own assessment process and attached conditions to the deal, but little details have been provided on either. Later, the Canadian government permitted a Shenzhen firm to acquire Norsat International, a provider of satellite communication systems used by military customers, including the Pentagon and the Government of Taiwan, without apparently doing an in-depth national security review. The asymmetry in power between the two countries has in the past led to a lot more take than give on the Chinese side. 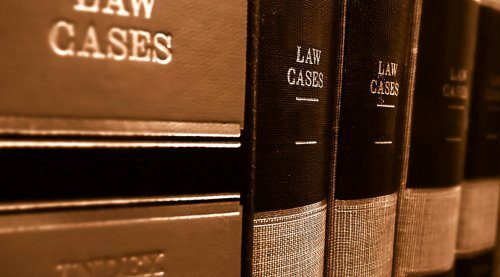 In addition to allowing the above high-tech transfers, Ottawa is unlikely to spoil the FTA talks by reiterating its support for the Permanent Court of Arbitration’s decision that declared China’s expansive claims over the South China Sea as illegal under the UN Convention on the Law of the Sea; or demanding China halt its pervasive cyberespionage of Canadian government and business servers; or expelling Chinese security agents alleged to be furthering Beijing’s interests by harassment and intimidation here in Canada. The asymmetry in power between the two countries has in the past led to a lot more take than give on the Chinese side. There are other incentives to comply with China’s demands of Canada. China’s threat last summer to halt $2-billion in annual imports of Canadian canola seed is instructive. FTA negotiators will know the agreement for China to keep accepting our canola seeds expires in 2020. Indeed, concerns that free trade will increasingly lead to Canadian compliance with China’s business culture cannot be discounted, given that Chinese businesses tend to seek political patrons through exchange of favours. Australia’s experience here provides a potential lesson in that regard. An investigative report released earlier this year revealed that former Australian trade minister Andrew Robb, who had negotiated the terms of the Australia-China FTA, received $880,000 a year as part of a “confidential” consultancy with a Chinese billionaire and member of China’s National People’s Consultative Conference. The billionaire, Ye Cheng, had also controversially acquired a 99-year lease for the Port of Darwin in 2015. Less than three months before his consultancy arrangement, Mr. Robb visited China with an Australian delegation and, in his official capacity as trade envoy, facilitated Australian collaboration in a major project in the port city of Rizhao, Shandong. Australian media also reported that an ethnic Chinese billionaire resident in Australia, Huang Xiangmo threatened to withdraw a promised $400,000 donation to the Australian Labor Party in response to a statement by their defence critic that Australia’s defence force should be able to conduct freedom of navigation operations in the South China Sea. The following day, a Labor senator, Sam Dastyari, who had received donations from the same billionaire, in an apparent split from his Party’s policy told the Chinese media that Australia shouldn’t interfere with China’s activities in the South China Sea. There is no sign that either Australian politician had done anything illegal. But, tellingly. Australian Prime Minister Malcolm Turnbull ordered a major inquiry into the nation's espionage and foreign interference laws, including whether the espionage offences in the criminal code are adequate. The appropriateness of displaying a foreign flag at a Canadian political party fundraising event is worthy of consideration. Comparisons with what is now happening in Canada should raise concerns. Earlier this year, photographs of Prime Minister Trudeau at fundraisers in the homes of Chinese-Canadians appeared in Canadian media – and in a newspaper in China published by the Chinese Communist Party's Overseas Chinese Work Department. 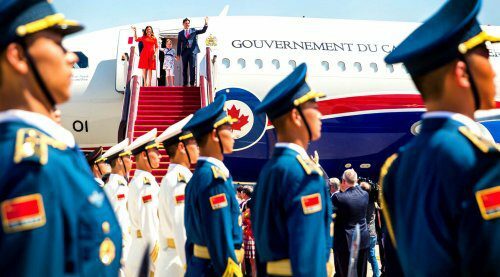 They showed Mr. Trudeau posing with Chinese-Canadian donors and with non-Canadian Chinese citizens, with the flags of both countries prominent in the background. Over 80 guests got their pictures taken with Mr. Trudeau at the $1,500 per ticket event. 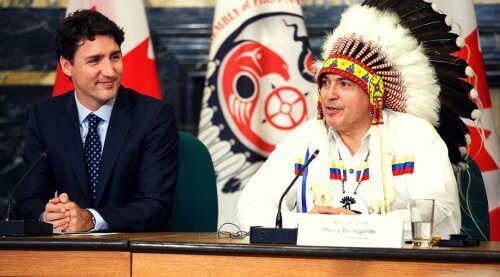 Attendance figures suggested that the Liberal Party collected up to $120,000 per event from ethnic Chinese donors meeting with Mr. Trudeau in a private setting. The appropriateness of displaying a foreign flag at a Canadian political party fundraising event is worthy of consideration. Canada may receive potential economic benefits in engaging with China. But such benefits can also come with strings attached, presenting a challenge for Canadian security along many dimensions. The concerns expressed by former Canadian Security Intelligence Service (CSIS) director and national security advisor Richard Fadden over politicians under possible foreign influence remain salient. Given the government’s strong interest in enhancing economic relations with the People’s Republic of China, we need to be especially vigilant that such engagement does not come at the cost of our national security – or indeed our values.